Situational awareness: Verizon suggests the outlook for Oath is not very strong in its earnings report out this morning. It expects Oath revenues "to be relatively flat" in the near term and "does not expect to meet the previous target of $10 billion in Oath revenues by 2020." If you're in D.C., I’ll be interviewing Ogilvy CEO John Seifert at 10:50am today at The Watergate Hotel about the challenges facing the agency industry. Stop by. The push to create rivals to stunt the growth of Netflix has become a global phenomenon, as the streamer is now available in 190 countries and is poised to consistently make more money in the future abroad than in the U.S.
Why it matters: The same efforts seen in the U.S. — where broadcasters and telecom companies are teaming together to create Netflix competitors — are happening globally, pointing to the threat of Netflix's dominance abroad. In the U.K., British broadcaster ITV joined BBC and Channel 4 in June in signing a 5-year agreement to invest $165 million to turn a British digital video platform into a Netflix competitor, per The Hollywood Reporter. In Australia, CBS said in August that it's planning to expand its subscription services to rival Netflix in Australia. It purchased Network Ten for a reported $162 million in Australia last year which should bolster that offering. In France, the country's biggest broadcasters unveiled "Salto" earlier this year, a streaming platform that combines programming muscle from French broadcasters France Televisions, TF1 and M6, per Deadline. By the numbers: Netflix stock was up roughly 15% in after-hours trading Tuesday after the streaming giant announced it beat investor expectations on earnings, revenue and user growth. The company added 5.87 million international subscribers compared with the 4.46 million expected, according to FactSet. At this point, the company has over 73 million international subscribers and it expects to hit nearly 80 million by the end of the year. Between the lines: The company is pouring billions of dollars into localized content and has been pushing to form marketing partnerships with local telecom companies to widen its distribution. Chief content officer Ted Sarandos said last week, "So as long as we focus on the quality of production, those (local) shows can be worked to drive local subscribers in (a) country, but also drive global viewing when we do it right." Yes, but: The company faces challenges in some key markets. In India, the company acknowledges that it faces fierce competition from Hotstar, which is owned by 21st Century Fox. Netflix CEO Reed Hastings says it's expanding beyond English into Hindi, and is looking at more pricing and bundling options there. In Brazil, a #DeleteNetflix campaign erupted earlier this year after former Brazilian President Dilma Rousseff and other political figures accused the streamer of political bias and character assassination. In China, where internet video consumption is outpacing traditional TV, Netflix is not available. There, iQiyi, owned by Chinese tech giant Baidu, is dominant, but is still much smaller than Netflix. What's next: Netflix said earlier this month that productions have increased nearly 5x in Latin America since local shows began filming in the region in 2015 and has more than 70 titles being filmed across Latin America. Producers of Latin American content are gearing up for a production demand from streamers entering those markets. Latin American SVOD (subscription video on-demand) subscribers are expected to double by 2023, according to Simon Murray, principal analyst and owner of Digital TV Research. 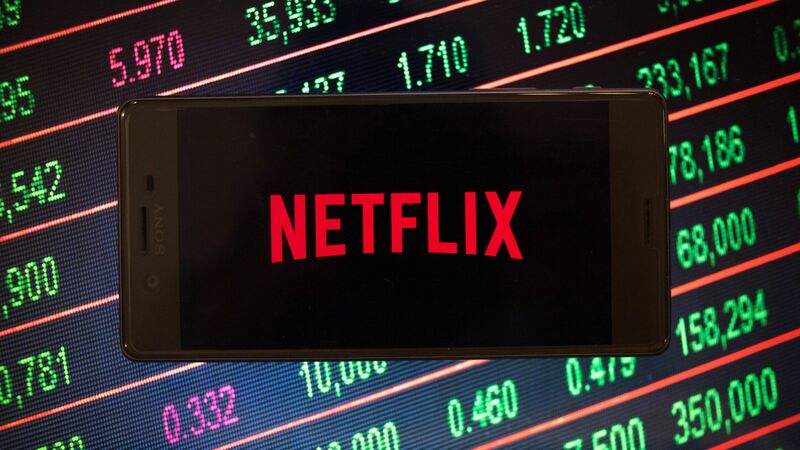 Netflix told investors Monday that it's aiming to raise another $2 billion in financing through debt securities to foot the bill for more content. In total, the streamer has committed to spending over $18 billion on content in the future. Why it matters: Netflix spends far more on content than its competitors, particularly legacy TV. It does so to build its subscriber base (currently 130 million worldwide) big enough to have the leverage to one day increase subscription prices, bringing them closer to profitability. The bottom line: New competition from companies like Disney and AT&T, as well as existing domestic and international competition, is forcing the streaming giant to invest even more in maintaining its lead. "Netflix's annual cash spend has grown 40%+ in each of the past three years. In addition, Hastings has been clear about the magnitude of short-term cash burn and that burn will continue for "many years". This debt raise shouldn't be a surprise. Whether it's sustainable depends on (1) Netflix's success in sustaining subscriber growth; (2) The market's endorsement of Hasting's scale strategy; and (3) The company's ability to manage and then reduce net cash burn as its overall spend (and revenue) grows." Teens spend roughly 38% of their video time watching Netflix, more than double the time spent on traditional TV and roughly 33% of their video time with YouTube. According to the survey, Instagram has overtaken Snapchat as the first most-used social platform by teens. Last Tuesday, YouTube experienced an outage for about an hour, which according to new data from Chartbeat provided to Axios, resulted in a 20% net increase in traffic across Chartbeat sites. Chartbeat analyzed the YouTube outage using global traffic data across a sample of more than 4,000 sites which are Chartbeat customers. What they found: About half of the increased traffic (11%) went to general articles on publisher sites, and the other half (9%) went to articles about the YouTube outage. Why it matters: Like the Facebook outage this summer, this proves that when major tech companies that distribute the bulk of media traffic go down, the traffic flows back to the sites and apps of media publishers. Reality check: From Nieman Lab's Joshua Benton on a previous analysis that we outlined last week from Chartbeat: "One thing this analysis by @chartbeat shows is that most news-seeking is not driven by some civic desire for community information — it's a gimme-something-new itch that can be met by news stories, FB updates, or, well, a lot of things on people's phones." YouTube is not normally a traffic driver to publishers. Unlike Facebook, YouTube is not a large referrer of traffic to publishers, Chartbeat says. As a result, the effect of people moving from YouTube to publisher sites during the outage was purely additive. There's a day and time difference. Facebook's outage was on a Friday afternoon U.S. time. The YouTube outage, conversely, was on a Tuesday evening, which is prime entertainment consumption time. By the numbers: In total, Chartbeat saw a 78% increase in app traffic and a 59% increase in search traffic during the hourlong outage. By distribution type: Web traffic increased by 15%, app traffic increased by 78%, Google AMP traffic increased by 67%, Facebook Instant Articles traffic increased by 6%. By device type: Desktop distribution increased by 13%, mobile distribution increased by 26%, and tablet distribution increased by 26%. By referrer type: Direct traffic increased by 9%, link traffic increased by 28%, internal traffic increased by 13%, search traffic increased by 59%, and social traffic increased by 11%. "So far, we’ve seen there’s no single reaction when a platform goes down. Sometimes people are more apt to search for answers, sometimes they go directly to a news source they trust. The one thing we do know is that reader behavior shifts immediately and fiercely. When Facebook or YouTube, for example, goes dark, the rest of the internet comes alive." YouTube CEO Susan Wojcicki told the site's network of content creators Monday that they should protest a proposed EU copyright rule that would force platforms, like YouTube, to allow only content from a small number of large companies, because liabilities would be too big otherwise, Axios David McCabe reports. Why it matters: YouTube, along with other platforms like Twitter and Facebook, was built at a time when it assumed almost no liability for what users posted. Article 13, as the rule is known, has big implications for them because it could create new responsibilities to filter content for intellectual property violations. What's next: A final form of the proposal is expected to be voted on next year. Saudi Arabia's use of troll farms to harass journalists is just the latest example of repressive regimes and insurgent candidates using social media technology to silence critics or exert control over vulnerable populations. Driving the news: A Saturday report from The New York Times found that Saudi-backed troll farms were inundating journalists, like the late Jamal Khashoggi, with hateful messages and threats of violence in an effort to silence them. The regime has admitted murdering Khashoggi. Why it matters: General lack of oversight and regulation of social media makes it easy for those in power to influence populations without being detected — or at least not being identified until after damage is done. In Myanmar, a UN-backed fact-finding mission found that members of the Myanmar military used Facebook as a tool in the government’s campaign of ethnic cleansing against the country's Rohingya population. In Brazil, businessmen allegedly linked to right-wing candidate Jair Bolsonaro have been bankrolling a campaign to spread fake news in support of the leading far-right presidential candidate by spamming users with fake news via WhatsApp, per the Washington Post. In Mexico, several political parties used bots and fake accounts in an attempt to influence the presidential election in July. Pro-government bots have been used for years in Mexican politics to silence activists. Between the lines: Russia and Iran are also leveraging social media to undermine stability or elections in other nations. The big picture: New technologies have for centuries been abused to serve those in power. "A number of cases throughout history suggest that breakthrough technology is often followed by a period of conflict over the impact in the way it is used….Disinformation is an adaptive challenge. It existed in hieroglyphics in caves and will exist in 1,000 years via whatever humans are using to communicate at that point." What's next: Even democratic regimes are not immune to this type of abuse, argues Jennifer Grygiel, assistant professor of communications at Syracuse University. In the U.S., Grygiel argues, the Broadcasting Board of Governors, an independent agency, was engaging in domestic propaganda through the purchase of Facebook ads for some of its European channels that were targeted to U.S. users. That's in potential violation of a law meant to prohibit domestic propaganda. "My most immediate concern is here in the United States," she tells Axios. "The Facebook discovery makes me wonder what else is not being managed around our own government's potential use of communications systems for propaganda here in this country." Ahead of earnings this week, it's worth noting (again) that Facebook, Twitter and Snapchat are doing more to expand their user bases and ad services abroad. Why it matters: Facing saturation in the U.S. and North America, social media companies are looking to foreign markets as a way to increase ad revenue. Yes, but: Their reach can only extend as far as mobile and wireless markets allow them to. Which is why in some cases, tech giants are pushing to increase connectivity and app functions abroad to expand their reach. Facebook, for example, is helping telecom providers build networks at lower cost, Axios' Ina Fried reports. Google and its parent company Alphabet have also invested in connectivity in the U.S. abroad. Snapchat has been focusing efforts this year on improving its app on Android, which is used more commonly outside of the U.S. Projections show the U.S. box office will make a record-breaking $12 billion in 2018 alone, Axios' Marisa Fernandez reports. Why it matters: Movie theater admissions have been relatively stable for the past three decades, and yet box office totals are expected to be up 10% from 2017. Driving the rise: Moviegoers who want an elite theater experience, including subscription perks through AMC or MoviePass, and luxury service (like alcohol or reclining chairs) have helped boost ticket sales. There's also been an uptick in people looking to take advantage of discounted days and matinees. The impact: Thanks to these audiences, studios have seen far greater attendance in the off-season months (fall and spring), whereas previously they had only see such high attendance for summer blockbusters. By the numbers: The U.S. box office has made roughly $9.3 billion in 2018 so far, nearly a 9% increase from last year, per the National Association of Theatre Owners (NATO). "Venom" had an $80 million debut during the Oct. 5-7 weekend — the best opening ever for that month. "Black Panther," which screened after the holiday season in February, became the third-best showing of all time at $700 million in the U.S.
What to watch, according to NATO VP Patrick Corcoran: If the box office were to flop the rest of the year, U.S. movies would still rake in roughly $11.8 billion.